Schedule a visit online or by calling 479.783.7327. 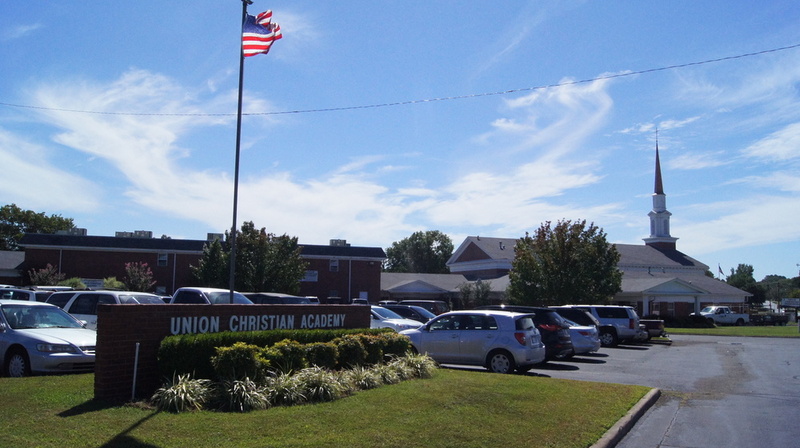 Union Christian Academy is a unique place filled with a great love of Christ and a great love of family. We focus on nurturing all aspects of your child's life, both academic and spiritual, because we have seen this is the key to success in the futures of our students. We look forward to you joining this big, wonderful family that is Union Christian Academy. Union Christian Academy is a family of diverse learners and educators. We strive to nurture and grow the talents, both academically and spiritually. Our halls are filled with artists, musicians, athletes, scientists, and avid readers-but that is just to name a few. We strive as a school to help each individual child reach their highest God-given potential in all aspects of their life. Union offers classes for students ranging from preschool all the way through 12th grade. Union is the River Valley's only accredited preschool-12th grade Christian school. Enrollment is now open for the 2019-2020 school year. Join our school, and become part of this wonderful family.